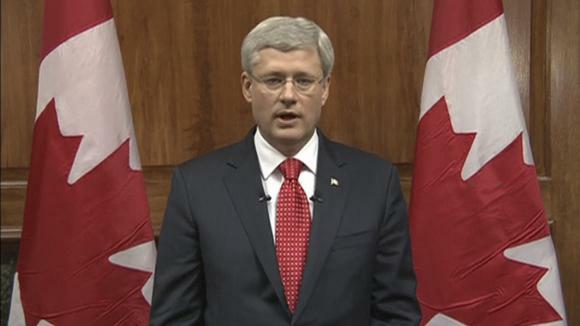 Canada’s Prime Minister Stephen Harper speaks during a nationally televised address on CBC in this still image taken from video in Ottawa, October 22, 2014. There probably is nothing more satisfying to me than seeing the saving power of the Lord Christ in the life of a new convert to Jesus Christ. As a pastor “working in the trenches,” I am blessed to see this regularly. Just a few weeks ago, a husband and his wife stood before me as I led him in prayer to receive Christ. I remember hearing his voice breaking as he prayed, only to finish the prayer and observe tears streaming down his face. As I watched him lead his family from the church that day, the smile on his face could only be explained as the pure joy of the risen Lord. I think there is no greater evidence of the reality of the love of God in Christ than a changed heart and changed life, all the result of humbling oneself before a mighty God who transforms us from the inside out into a new creation. 2 Corinthians 5:17 NASB. Ever been in a group and the conversation turned to religion? How about Islam and Christianity? I recently found myself in conversation with a friend and the question was asked whether Allah and God are the same? Reuters) – Canadian Prime Minister Stephen Harper vowed to redouble the country’s fight against “terrorist organizations” abroad after a reported convert to Islam rampaged through parliament, shocking the usually tranquil capital city. Shortly after a gunman shot dead a soldier at the National War Memorial in central Ottawa on Wednesday morning, a man armed with a shotgun burst into the Center Block of Parliament, pursued by police. He died after dozens of shots rang out a few yards away from where Harper was talking to his legislators. The killing of the Canadian soldier was the second this week with a possible link to Islamist militants. A convert to Islam on Monday ran over two Canadian soldiers with his car, killing one, near Montreal, before being shot dead by police. The gunman in Canada is reported to be a recent convert to Islam. Regardless of whether that proves to be true, the point remains: Why would a Muslim use violence to glorify his god? And what does that say about his god if the use of violence is seen as a means to identify with or bring glory to that god? To answer the question, I offer the difference between a new Muslim convert and a new Christian convert. A convert to Islam takes up arms because Muhammad, the perfect role model and messenger of Islam, revealed the word of Allah in Qur’an 9:5, 47:4 and many other Quranic passages, to the end that “smiting the necks” of the unbelievers becomes not only a belief, but a duty of virtue that one pursues. In some cases, converts to Islam who had never before contemplated murder as an option now see it not only as an option but a virtue rewarded in the afterlife. In these cases, the convert may become the “lone wolf,” unpredictable and threatening to society. In a recent Congressional Research Report (#7-5700, R41416 (January 23, 2013) by Jerome P. Bjelopera), there have been 63 “homegrown” violent jihadist plots in the United States since 9/11/2001. Since 2009, there has been an “apparent expansion of terrorist activity in the Untied States (through December 2012),” resulting in arrests for 42 “homegrown,” jihadist-inspired terrorist plots, all of which were conducted by American citizens or legal permanent residents of the United States. (See CRS R41416, p. 1). We might liken what happened in Canada to the “homegrown lone-wolf” terrorist described in CRS R41416 above cited. The effectiveness of provoking fear in the minds of innocent civilians is a major purpose of Salafi-Islamists such as Al Qaeda or the Islamic State, even if the provocation is a single shooter with a shotgun as appears to be the case in Canada. 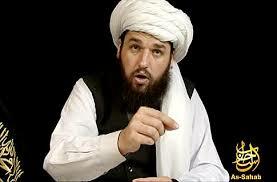 The CRS report above cited states, “For example, the media wing of Al Qaeda, As Sahab, released an English language video in March, 2010, entitled, “A Call to Arms,” featuring American-born spokesperson Adam Gadahn. In the video, Gadahn extols Fort Hood shooter Nidal Hasan as a “trailblazer” who did not attract law enforcement attention by training abroad or relying on conspirators. Gadahn encourages would-be terrorists to select realistically hittable targets that are familiar to them and have some broadly symbolic—especially economic resonance (see full video here. video analysis here). This is precisely what happened in Canada. The lone wolf attacked a high profile location – Parliament – so as to generate the highest level of public reaction. Let’s take America as an example. America is absolutely awash with easily obtainable firearms. You can go down to a gun show at the local convention center and come away with a fully automatic assault rifle, without a background check, and most likely without having to show an identification card. So what are you waiting for? The CRS report above (p. 12) distinguishes between “radicalization” and “violent extremism.” In America and other Western countries (Canada, for example), it is not illegal to adopt, express, or disseminate ideas, even hateful and extremist ones. Hence, the radicalization of Muslims is not illegal in free societies. But when radicalized individuals mobilize their views (that is, they move from a radicalized viewpoint to membership in a terrorist group, or to planning, materially supporting, or executing terrorist activity) then the nation’s public safety and security interests are activated. Thus radicalized views become “violent extremism” as violent action takes place. “He comes out, tries to assimilate with a local mosque, is spurred on by videos and Internet postings by groups like ISIS, and then the incident at his workplace — a perceived wrong against him — becomes the catalyst that trips the trigger in his mind to move from jihadi thoughts to violent action,” Dunleavy added. I suppose the problem for law enforcement is how to predict when radicalization will become violent extremism? And whether the motivation is simply an act of obedience to Allah and his Muhammad or retribution for a wrong suffered? It seems to me that the first steps a believer takes are those most revealing of the god in whom they believe. They are like baby-steps that reveal the nature and extent of one’s connection to the “parent” that feeds them. When lone-wolf converts to Islam (or matured jihadis) commit violent extremist actions they reveal the god in whom they serve. Allah is not the God of Abraham, Isaac and Jacob as revealed in Jesus Christ. Allah is another god, a god of darkness. He is satan’s representative masquerading as God and the lone wolf of Islam reveals him for who he truly is. 2 Corinthians 11:14, Revelation 13:3-4. NextIran and Russia – As Oil Prices Fall do the End-Times Rise Near? I think the motivation is both. It is such a tragic pity that democratic states animated by the notion that human nature is inherently good, and not bad, are now of late discovering they cannot defend themselves properly against an existential murder cult such a represented by steadily increasing insurgency into the West by Islam in its many forms, some seemingly benign, such a birth Jihad, political Jihad, and electorial voting numbers Jihad. Not only this, but the West’s moral highground, such as in the United States in particular, is being eroded retroactively by the latest books giving us a stark picture of its very unspeakable history of slavery. Such as the recent book by Cornell historian Edward E. Baptist, ‘The Half Has Never Been Told: Slavery and the Making of American Capitalism”. This makes it a bit easier to see just why America’s stand against Islam has been ambiguious, weak-willed and convoluted, and so head buried in the sand scary! Phillip – yes, and very well stated. Thank you. The “lone wolf” jihadist is likely to manifest in America very soon and I suspect that each that does will begat another and another… With each untimely death of the innocent let us pray that the Lord uses the blood of innocents to open the eyes of humanity to the evil that lurks behind and in the name of Allah, the beast of Revelation 13:2.